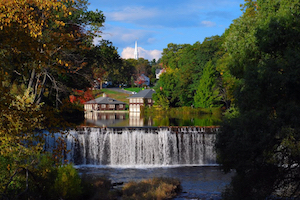 Northampton is a beautiful small city and the county seat of Hampshire County, Massachusetts. It is a popular destination for arts, culture, counterculture, music, and academic enthusiasts. Overall, it is a very peaceful community that can offer you plenty of opportunities to enhance your moments while staying in Northampton. It is a great place to explore by feet. 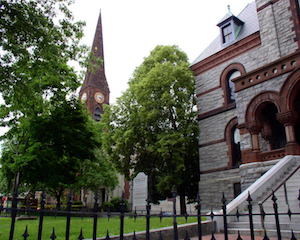 Grab your camera and walk the picturesque Elm Street/Round Hill Historic District; you will see many well-preserved posh historic buildings with varying architectural styles, such as 18th Century Colonial, Colonial Revival, etc. For the art enthusiasts, we suggest you visit Calvin Theater, the Academy of Music (the only theater in the US owned by a municipality; Harry Houdini performed here), and Iron Horse Music Hall. 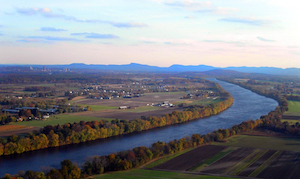 For those fond of the outdoors and nature, we suggest you explore the Connecticut River, Connecticut River Greenway (Elwell and Rainbow Beach), the Oxbow (great for boating and river related activities), Broad Brook/Fitzgerald Lake Conservation Area, Mill River Greenway, Saw Mill Hills/Roberts Hill Conservation Area, and Mineral Hills Conservation Area. It is worth mentioning that more than 21% of Northampton’s area is protected open space. Regarding budget accommodation, there are more than 50 and nearby Northampton with the prices per room per night ranging mostly between $55 – $190.